As we close in on the end of 2018 many of us are thinking about year-end charitable donations. 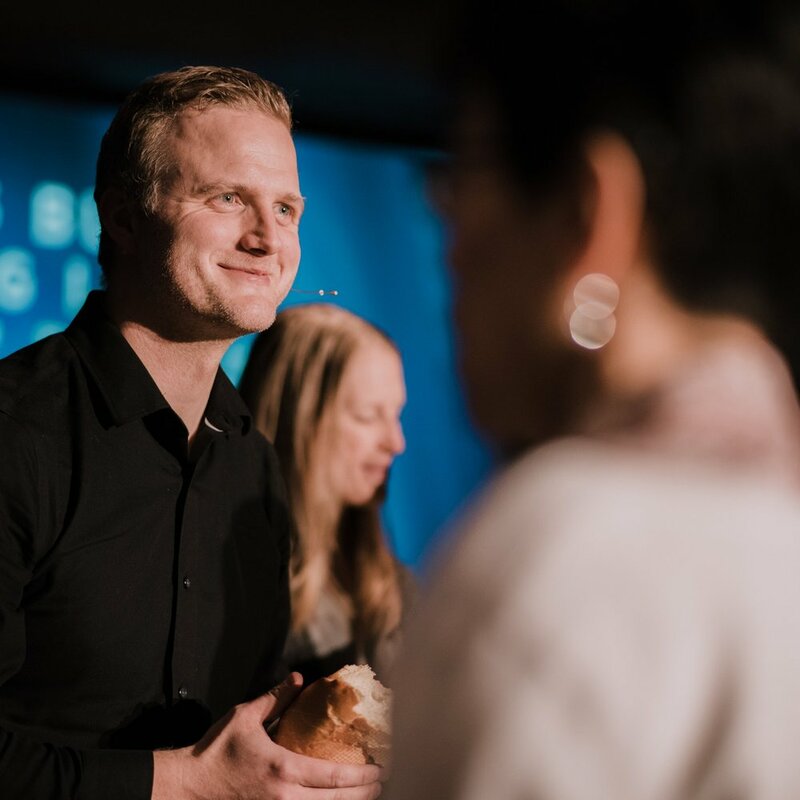 We wanted to make sure that we communicated how your contributions are being used to forward the vision and mission we hold together at Commons Church. We are grateful that you have been generous toward us, and that has allowed us to be generous as a community even as we move new initiatives forward. So far this year 14.8% of our resources have been directed outside the doors of Commons towards those in need. This includes our investments in global partners and here in our neighbourhoods. And over this Christmas, we succeeded in raising an additional $50,000 for those in need. At the same time, we continue to connect more people to the story of Jesus. Incredibly, our community continues to grow as more people explore or re-engage their faith journey through the conversation here at Commons. We look forward to a 2019 that will stretch us in new ways. Below you'll find some highlights of the year and a breakdown of how your donations have been used in 2018. Thank you for being part of the Commons Story, and please consider how you might contribute before year end. note: The numbers reported represent our year to date as of early December. Complete financials will be presented at our Annual General Meeting once our year end is closed. Perhaps our most exciting expense category this year has been our first full year of operation in Inglewood. Launched in January 2018 Inglewood has been our first attempt to expand the Commons story beyond the Kensington neighbourhood. As we continue to involve new people in the story of Commons, Inglewood and future parish communities promise to become central to our vision. Our goal has been to reach financial sustainability for the Inglewood Parish within 3 years of launch. Almost 12 months in and we are ahead of schedule. We are incredibly excited about what is happening in Inglewood and what we’re learning for the future. In 2018, our investment in the Inglewood Parish has been incorporated into our larger categories. Highlight: We were packed on our first Easter Sunday in Inglewood. We are blessed with a remarkable staff team at Commons. This year we welcomed Yelena Pakhomova to the team and we’re excited about what she has already brought to the community. Her experience in shaping community groups has been a huge asset as we now have well over 300 people in Home Groups and her perspective adds a new and unique voice to our teaching. 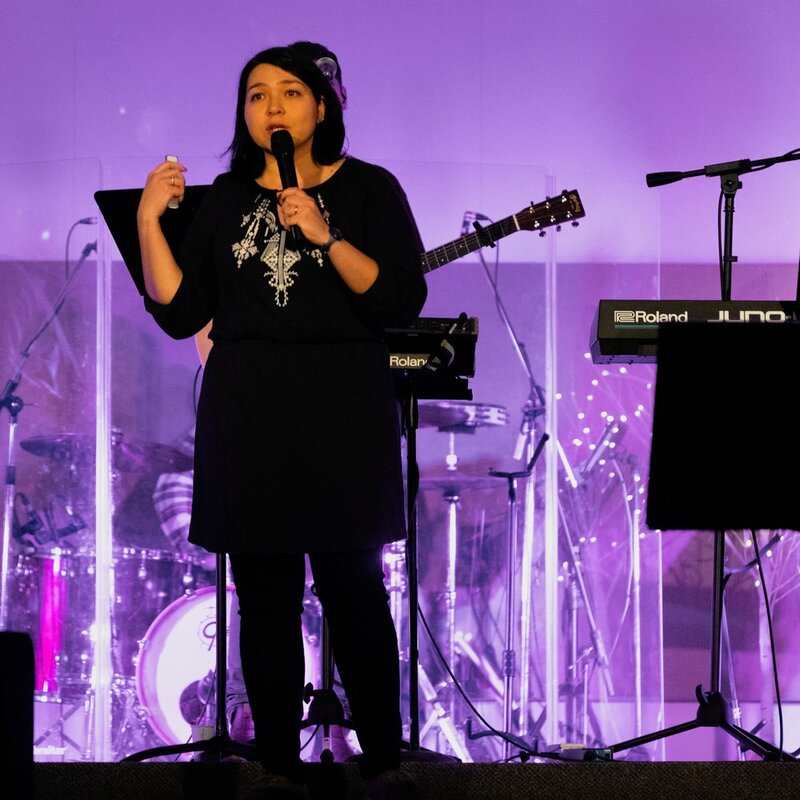 New investments in our youth and kids staff has also had a significant impact as Larissa began regular youth events this year and Jeanne and our kids team now regularly minister to over 150 children on any given weekend. We are thankful for every part of our staff team. In 2018, our staffing cost, including salaries, benefits, pension and employer costs have taken up 48.9% of our expenses. Highlight: New faces and new voices that have added to the mix. We firmly believe that to expect a generous community; we need to be a generous community. With that commitment guiding us we have been given the opportunity to participate in some amazing stories again this year. In 2018 we hit our goal as members of Commons have personally sponsored 100 children in Kalende Zambia. We hope to hit 125 in 2018. We have been able to dive into complex situations and discern how we can help locally with benevolent care. We have partnered with incredible local agencies that provide evidence-based, best-practice care to effect long-term change in the city. And we have continued to work toward the resettlement of refugees in our city. Our third sponsored family arrived in late 2018. And over this Christmas, we succeeded in raising an additional $50,000 for those in need. In 2018, 14.8% of our resources have been directed into these projects. Highlight: The launch of a new post-secondary scholarship for a young mom finishing her education across the street at Louise Dean School. 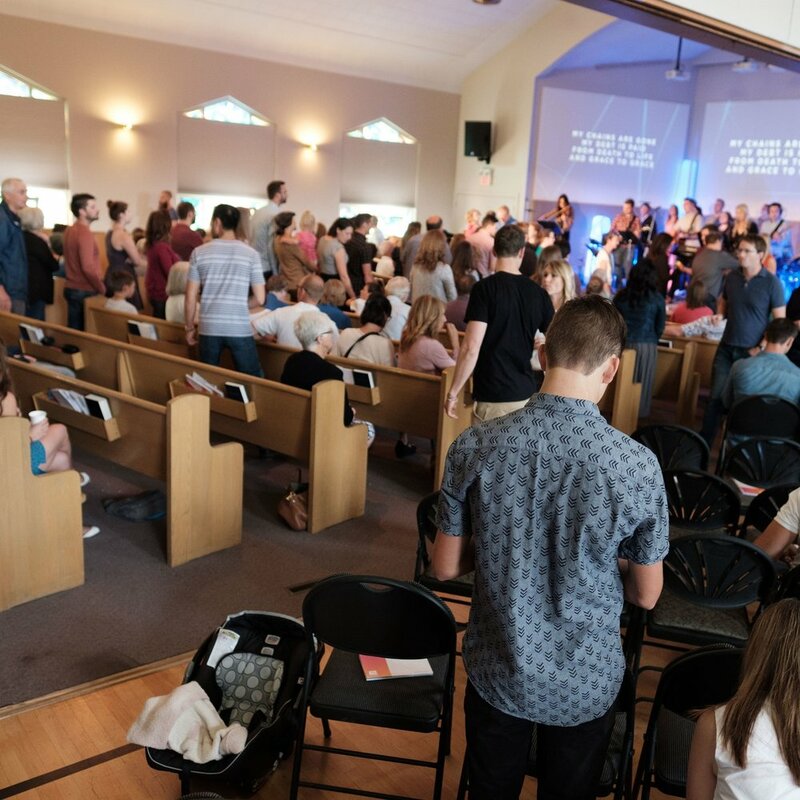 Home Churches, Dinner Parties, Stampede Breakfasts; these are just some of the investments we have made in ministry here at Commons. This category is where we group all of the costs for initiatives that provide care, connection and discipleship within our doors. Everything from delivering fantastic coffee on Sunday to help people feel at home, to handing everyone a Journal when they enter the church so they can follow along and learn about who we are. All of this is part of what we call Ministry at Commons. In 2018, 10.7% of our resources have been spent on these ministries. We have been blessed with a very functional building in a fantastic location. Though the building is old and in need of constant care, it is in great shape structurally. This year, we continued investing in our facility. The delayed movable wall between the sanctuary and gymnasium was installed this year and the carpeting on the main floor was replaced. This was also the first full year using our new compostable coffee cups and food supplies which drastically cut our waste/recycling footprint and even allowed us to host a zero waste Stampede Breakfast. In 2018, 17.6% of expenses were related to the facility in Kensington and our rental space in Inglewood. Highlight: After several delays the new moveable wall was installed. It might not be the most exciting category, but there are very real administrative costs required to keep the church moving forward. While we endeavour to keep administrative costs low, we also want to make sure that we operate in ways that ensure our sustained viability and operational excellence. In 2018, 8.0% of our costs were deemed administrative. Highlight: More than 50% of our community’s giving is now coming through automatic contributions. This helps us enormously as we budget and prepare for the coming year. You can update and manage your recurring giving and check your donation totals online anytime. Hit the Donate Now button below to check it out. As great as 2018 was, we are, of course, already looking forward. Part of leading a community that continues to outpace our most optimistic expectations is always trying to keep up with God. In 2019 we expect to be surprised all over again, but there are a few significant areas we hope to invest in. With a year under our belt, we have learned a lot about how to launch and lead a parish community. Commons will continue to provide the backend support and vision for Inglewood but we are excited to see how the local experience and imagination for community is beginning to take shape at the parish level. From the start, we imagined a three-year track to sustainability. This means building a donor base that can carry the work in Inglewood but it also includes discerning a long-term home for our parish community. While our partnership with the Inglewood Community Hall has been fantastic and we look forward to continuing our relationship there, we do recognize the need to expand the space we have available to our children's programming. It's beautiful to see the surprising number of children and young families in Inglewood but it does mean we need to address space issues already. Several options remain viable including continuing to rent while pursuing expanded children's space, partnering with another local church that is open to the type of story that unfolded in Kensington, or developing a plan to purchase facilities at some point down the line. Continue to pray as we discern next steps in Inglewood. It's only been a year since Inglewood launched but most of the seats that were freed up in Kensington have already been filled. That means it's time for us to begin to pray about and imagine what a third parish could look like. A project like this takes time, however. And we spent two years preparing for the launch of Inglewood before we ever ran a service in the neighbourhood. It will take us at least that long again but we can already see where God might have something on the horizon for us. A project like this takes resources and imagination and we're hopeful that 2019 will bring both. We continue to slowly invest in our Kensington facility and to position it for the long term. The structure of this facility is in excellent shape and warrants all of the work we continue to do for the future. In fact, the list of projects already completed is impressive when you see it all laid out. So far we have renovated the sanctuary, replaced the ceiling and roof, added new exterior doors at each entrance and an accessibility ramp to the gymnasium. We've installed a new movable wall between the sanctuary and gym. Renovated the entire children's space and classrooms, and all of the washrooms. Painted the exterior of the building. Replaced the carpet on the main floor. Upgraded furnaces, hot water tanks and thermostats. And installed new large-scale more efficient appliances in the kitchen. This year we hope to repair the ageing concrete work outside the building, renovate the south hall downstairs, and paint throughout the building where needed. At the same time, we continue to build a capital reserve fund to prepare wisely for unexpected facility costs in the future. We hope to reach 10% of the replacement cost for the building in reserve by 2020. Thank you for being part of our story in 2018. We can't wait to see what God has planned for us in 2019.